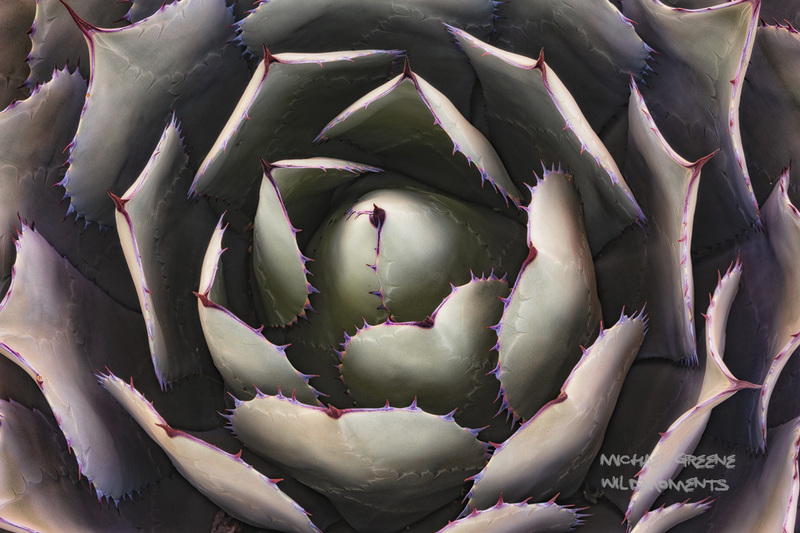 The agave is an outstanding specimen of flora for macro abstracts in the Sonoran Desert. The Desert Botanical Gardens are located in East Phoenix between Scottsdale and Tempe. Photo © copyright by Michael Greene.